It's always fun to come across my photos in unexpected places. While I was shooting the Days of '76 Museum in Deadwood this week I found a photo from back in my journalism days on display. In December 1987 a big chunk of Deadwood's historic Main Street burned on a frigid night. 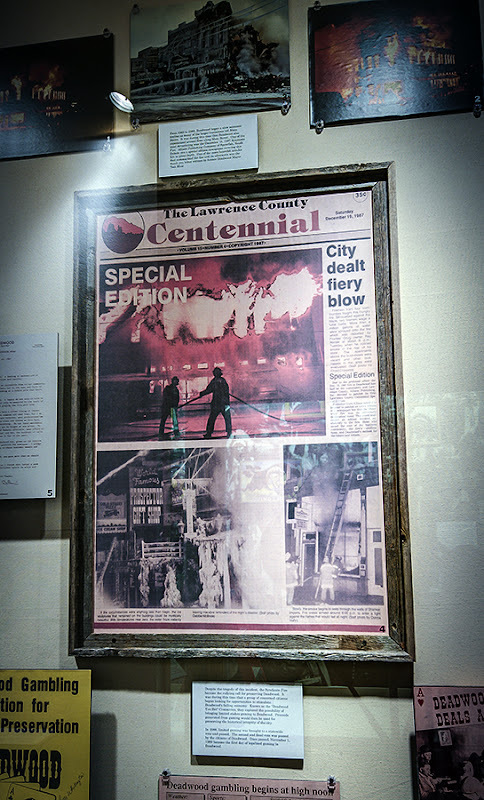 I was there shooting for the Lawrence County Centennial and we published this special edition about the event that became the springboard for legalizing gaming and historic preservation in the old-west town. That's my shot of the flames and firemen. 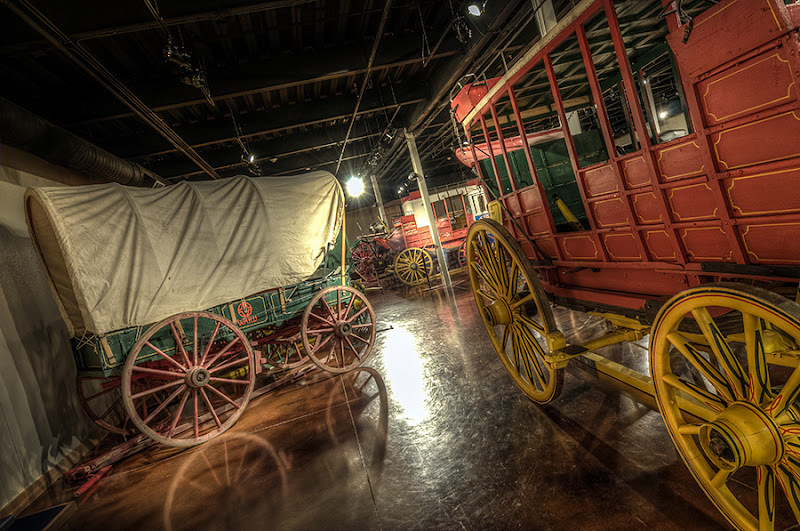 The Days of '76 Museum is first class all the way, with exhibits on the famous rodeo and celebration, the history of Deadwood and also serves as storage for the many horse-drawn vehicles used each year in the Days of '76 parade.